Weather Quote is not a just another weather app. 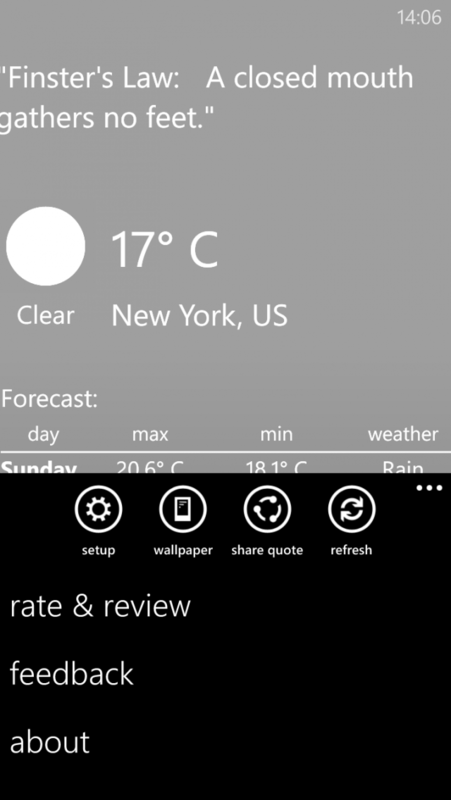 It delivers weather status along with an awesome quote right on your lock screen! It quotes the current weather with a quote from selected categories. The app follows the Modern design guidelines combined with transparent tiles and support for phone theme color. 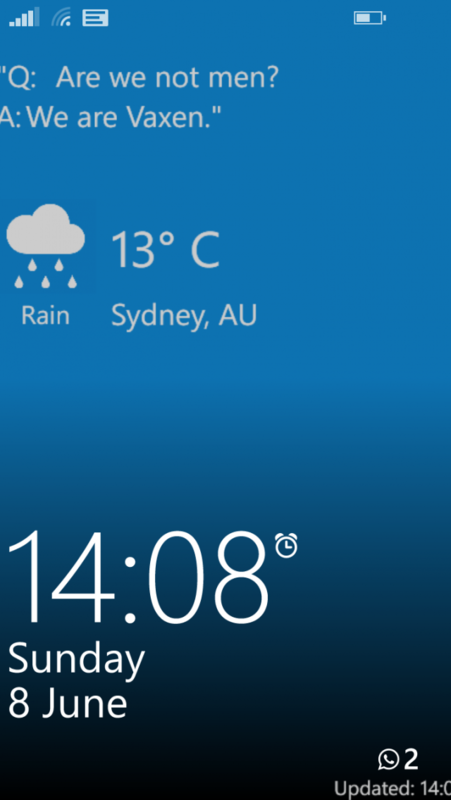 The temperature is shown in clean and simple layout with a background representing the current weather. 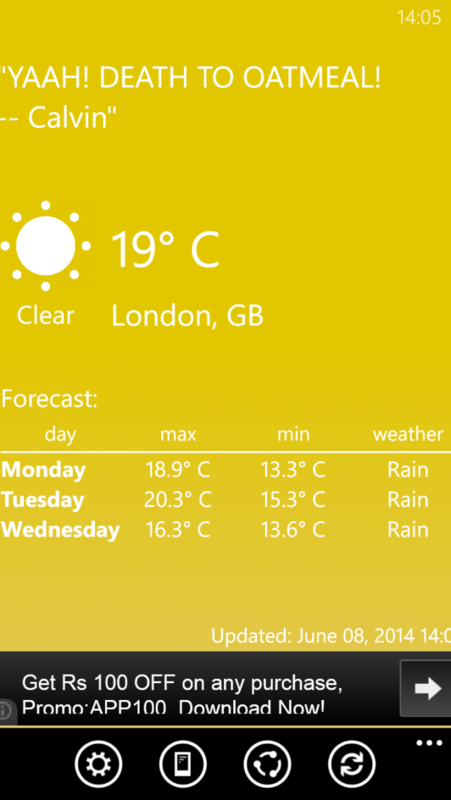 Location for which weather is to be displayed can be customised or set as current location. - Set this app as your lockscreen background provider via app settings or through phone settings.